Putting Parenting to Bed is a 3 or 6 session course for parents to give them some simple, common-sense basics for raising children. 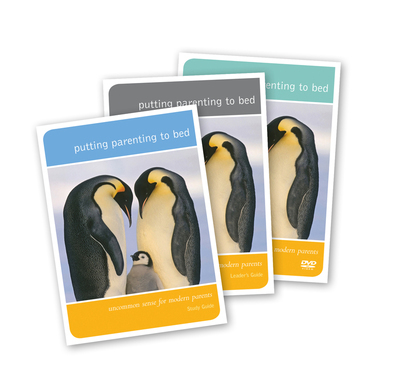 The Putting Parenting To Bed Course can be three or six sessions and gives parents some simple, common-sense basics for raising children with confidence, based on the age-old, tried & tested wisdom of the Bible. It also gives parents an opportunity to think through the bigger questions of life that can lead to a real opportunity to share the gospel of Jesus Christ. The new DVD features interviews and acted-out scenarios, as well as the main talk from presenter Ann Benton, making the course even easier to run. This sample pack includes a copy of the Study Guide, Leader's Guide and DVD. Perfect to use as an outreach course in your community or toddler groups, as well as with parents in your church. Download the promotional trailer to show in your church, or at mums and tots groups here. Session One: The trouble with parenting - parents! Part 1 - What is a child? Ann Benton is a very wise, Christ-loving woman. As a mother herself, she understands the challenges parents face. She gives excellent advice that I found useful for supporting friends with children and in my career as an educator, working with parents and their children. A must have for every Christian parent!